Our teachers have a proven ability to develop dedicated students from absolute beginners to pipers capable of playing a number of tunes on full sets of pipes within ten months. They also assist students who wish to revive previously abandoned piping dreams and they work with accomplished pipers who wish to broaden their musical horizons, especially relative to learning authentic traditional Irish music not often available in pipe band settings. They are also happy to help applicants for police and fire department bands who wish to prepare for auditions. 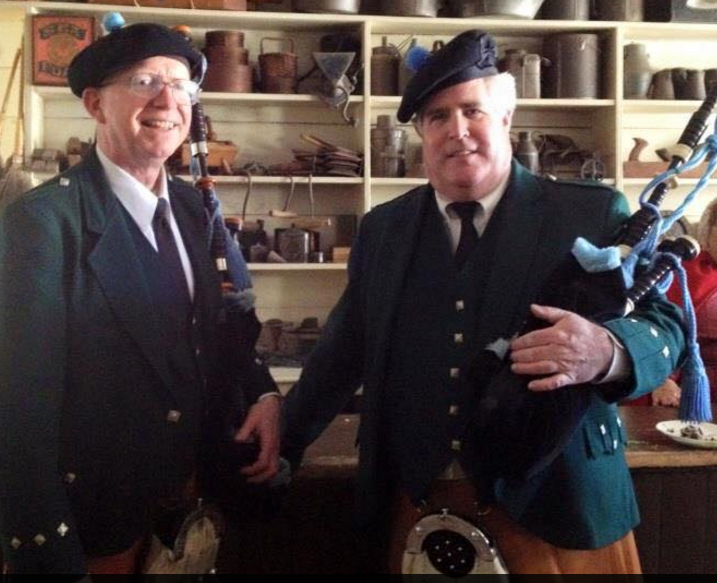 John Francis McManus and Robert Patrick Lynch perform extensively at all manner of public events and are approached often by people who dream of learning the pipes or would like to see their children, grandchildren or other relatives do so. They also meet people whose earlier plans of learning the pipes were frustrated by ineffective teaching and other circumstances. They decided to form the Ceol na nGleannta - Music of the Glens School of Piping in order to provide a structured framework for such people seeking instruction. They specialists in traditional Irish music on the pipes, they also hope to fill a void left by many pipe bands and other instructors who neglect this style of music despite the demand for piping and instruction in the Irish heritage. Our teachers are highly experienced and have a lifelong dedication to preserving and passing along the art of traditional piping. 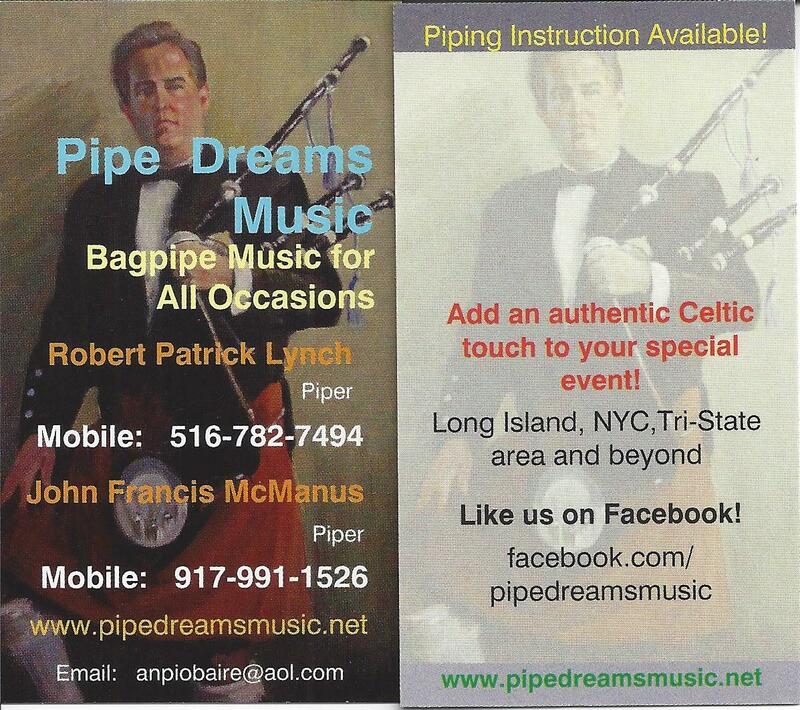 Robert P. Lynch has been teaching piping since 1990. He is the premier traditional Irish piper on Long Island and the Instructor of the Firebird Pipers Band at Kellenberg Memorial High School and Pipe Major Emeritus of the County Tyrone Pipers' Band. John McManus has been piping for nearly 50 years and teaching since 1990. He is Pipe Major Emeritus of the County Tyrone Pipers and has performed and competed on the pipes in the United States, Ireland and Canada.